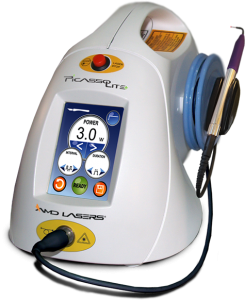 Bondi Dental is now equipped with the award-winning AMD Laser Technology! Bondi Dental would like to introduce the newest member of our team. Laser Dentistry is the latest addition to our dental services, and it allows your dentist at Bondi Dental to accurately perform a wide range of soft tissue procedures for cosmetic or restorative treatments. With advanced laser therapy, your Bondi Dental dentist can create healthier, beautiful smiles in a less invasive way. Gum disease is one of the leading causes of tooth loss and one of the most serious oral health diseases, which if left untreated can be life threatening. Fortunately, gum disease can be easily prevented and managed with the help of a healthy diet and proper oral hygiene, and of course, working with your dentist and dental hygienist. At Bondi Dental, we use laser therapy technology to help patients who suffer from moderate to advanced periodontal disease. The laser can precisely removed infected and inflamed gum tissue without damaging healthy tissue. In addition, the treatment allows the dentist to reduce the depth of gum pockets that often become inflamed as the disease advances. This method of laser dentistry promotes faster reattachment of soft tissue to your teeth while the gums heal. Bondi Dental keeps up to date on the latest innovations in dentistry and engages in dental solutions that can help boost the quality of your life. We want you and your family to live a healthy and pain-free life! Investing in modern dental solutions helps us to offer you the finest in dental and health care. Our dental professionals have undergone specialised training to provide the safest and most effective outcomes. Learn how laser therapy can help improve your overall health! Call us on (02) 9365 7187 or book your appointment online today.